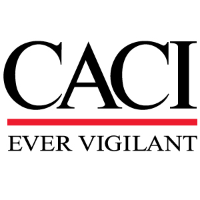 CACI is seeking a Quality Assurance Engineer for the US navy in Washington DC area. Responsible for being the voice and advocate of customer and war-fighter to ensure that all hardware meets or exceeds all safety, fit, form and functions requirements. Serves as Point of contact for internal customer (PMO) and DCMA. Serves as Quality Lead for Program Team. Reviews Contracts for quality requirements and flow down requirements to Supplier Quality and Operations Quality. Provides technical advisory support and analysis for all Program Reviews to include PPRs, PRRs, PARs, and technical proposals evaluation panels/boards. Supports source selection activities including assisting technical and past performance evaluations, and assisting in the preparation of source selection memoranda and decision documents. Provides pre-award support to include coordinating requirements, conducting market research, and qualifying vendors. Applies knowledge of the Federal Government acquisition process to support customers in the analysis and improvement of acquisition process policy and procedures to include obsolescence and Diminishing Manufacturing Resources (DMS) analysis and resolution. Devises strategies for deploying and implementing new acquisition policy initiatives and measuring the effectiveness of implementation. Uses quantitative analytical techniques to assess system acquisition process issues and develop risk reduction/mitigation approaches for improving acquisition/program planning, control, and execution. At least 7 years of experience working in Navy programs, preferably NAVSEA Navy Program Management Office (PMO) experience on NAVSEA programs. Navy Product Support experience to include Quality Assurance Engineering, Supply Chain, Initial outfitting spares and logistics documentation support. Bachelor degree in related field or other. Completion of at least a level 1 DAWIA certification or equivalent. Prior Navy military or Govt civilian experience working on Navy Programs, particularly involving production or sustainment logistics.